TravStar1 Point Of Sale SystemManager's Work Station Additional SetupHow Do I Require Cashier Password on Specific Register Functions? How Do I Require Cashier Password on Specific Register Functions? 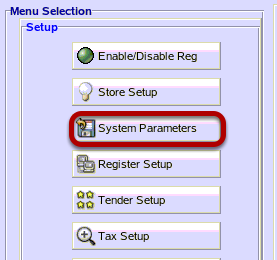 From the Setup menu, click on the "System Parmaters" button. From the System Parameters screen, highlight the parameter on the left then click on the "Edit" button. From the System Parameters screen, click on the Cashier tab. 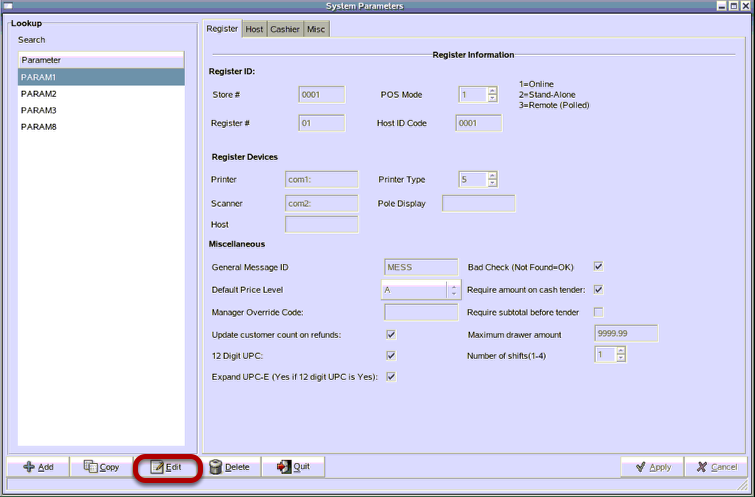 You can set the system to require a cashier password on log in, no sales, canceled sales, voids, returns, pay-ins/ pay-outs, and exiting the POS. 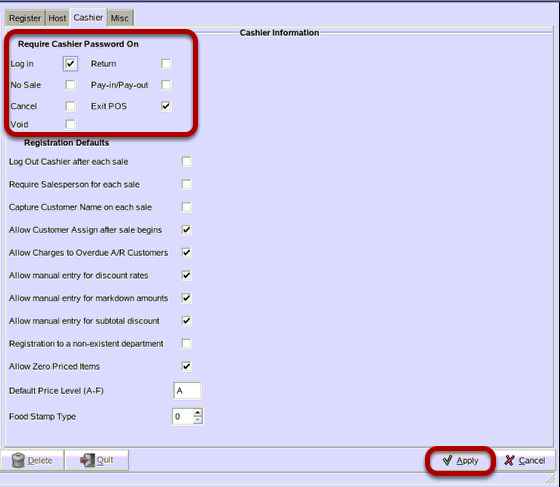 The setting defaults will require a password on logging in and exiting the POS. Click on the "Apply" button to save changes. Note: Changes to the system parameters requires you to send down the System Parameters File. Prev: How Do I Check and Correct Communication Issues between the Manager's Workstation and the Register? Next: How Do I Change the Tax Rate?